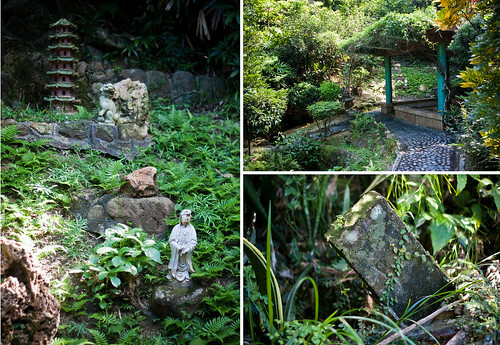 There was a time when Hong Kong was full of strange and wonderful private gardens. There was a Spanish-style garden built by a Catholic missionary on Seymour Road. 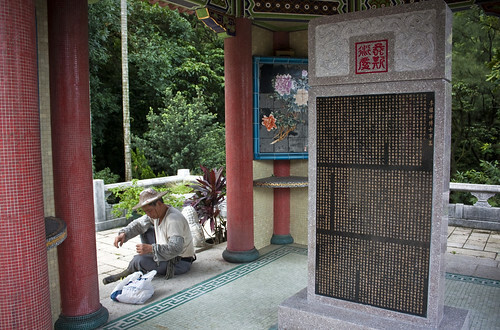 In Tai Hang, the seven-storey pagoda of Tiger Balm Garden could be seen for miles around. 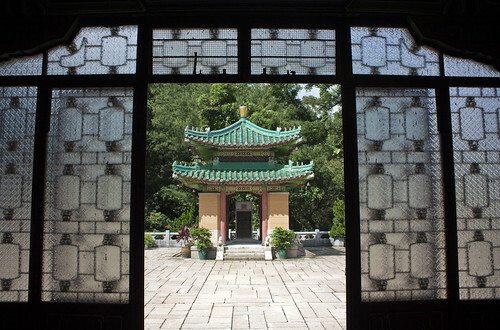 When Sir Robert Hotung built a second house on the Peak, he surrounded it with a 116,000-square-foot garden built in a Chinese Renaissance style, complete with pagoda and colourful tilework. 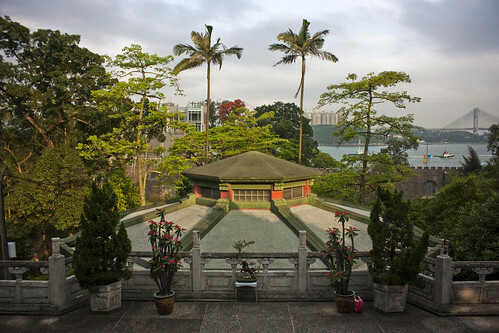 Many of the world’s great parks began their lives as private gardens — the Jardins du Luxembourg in Paris, the Parque del Buen Retiro in Madrid — but few of Hong Kong’s private gardens have survived, let alone been given over to the public. Civic mindedness is not a common trait among the scions of Hong Kong’s landed class; many treat their family’s property as oversized ATMs. 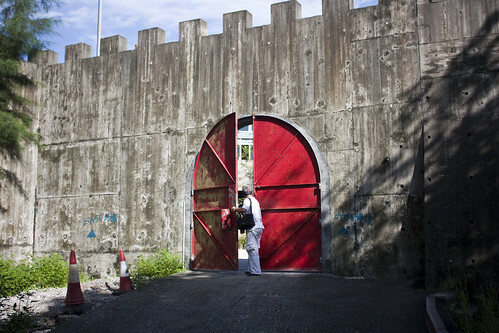 Tiger Balm Garden had in fact been open to the public for decades when Tiger Balm heir Sally Aw Sian sold it to Cheung Kong Development in 1998. It was demolished in 2004 and replaced by a wall of apartment blocks festooned with blinking LEDs. 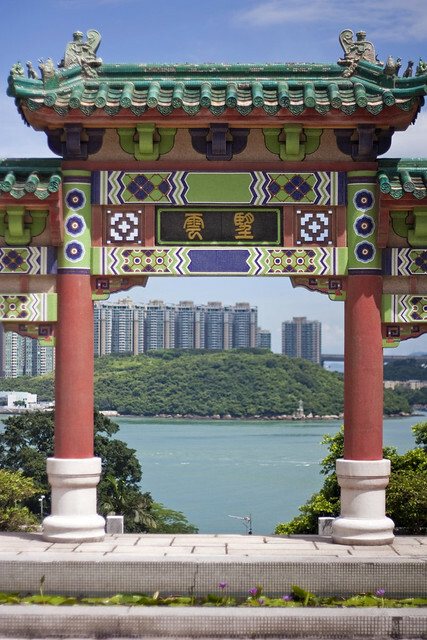 Hotung Gardens has always been private, though Hong Kong’s government made an effort to declare it a monument when its owner declared her ambition to demolish the estate; the preservation drive was deterred when she demanded no less than $7 billion in compensation. 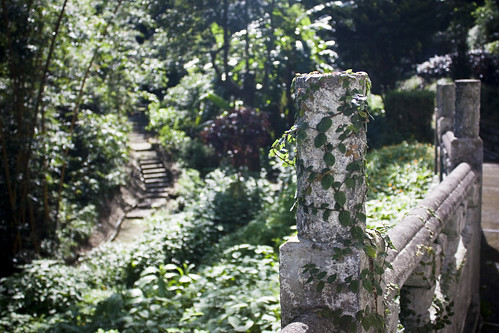 Still, one of Hong Kong’s great private gardens has managed to survive. 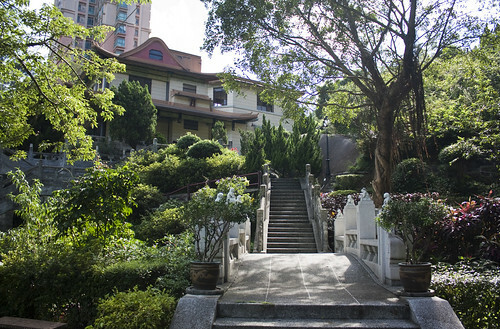 Dragon Garden was built as a weekend retreat by entrepreneur and philanthropist Lee Iu Cheung, and while it was nearly bulldozed for a tawdry high-end housing estate, it was saved from demolition when Lee’s son Shiu bought out the property from his siblings. Since then, granddaughter Cynthia has agitated for government support to restore the gardens, which I wrote about three years ago. 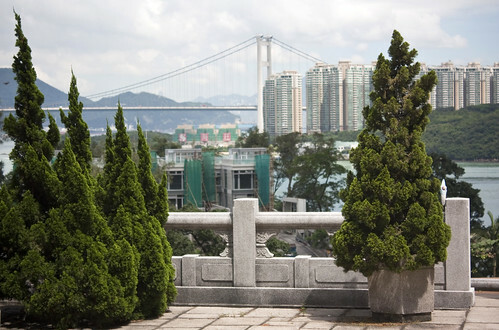 As far as I know, the situation hasn’t changed — money is still tight, Cynthia is lobbying to reform Hong Kong’s heritage policy and the public can only visit the garden on special occasions. The photos below were taken in 2010. You can see the full set here. 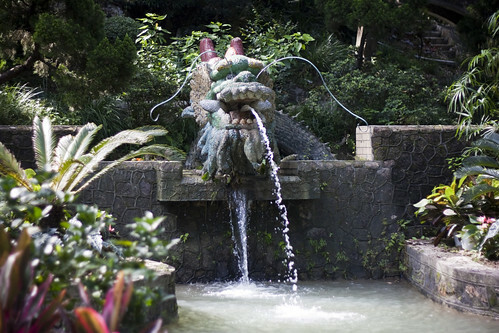 Halfway up the hill from the main gate, visitors are greeted by a dragon sculpture rising from a pond. The dragon is made with recycled bottles — just one of many environmentally-friendly gestures that put Lee ahead of its time. Recycled rainwater supplies the streams, ponds and fountains, seawater was pumped into the pool and salvaged construction materials were used in the garden’s buildings. 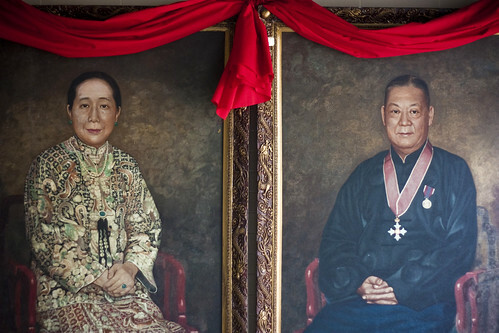 The garden includes a Lee family ancestral hall, which has been emptied of most of its contents, except for a portrait of Lee and his wife, Chan Yuet-king. 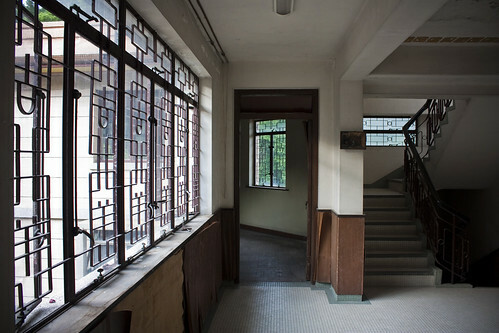 The stained glass windows on either end of the hall are a perfect example of the way that Dragon Garden uses Western techniques to depict Chinese themes. 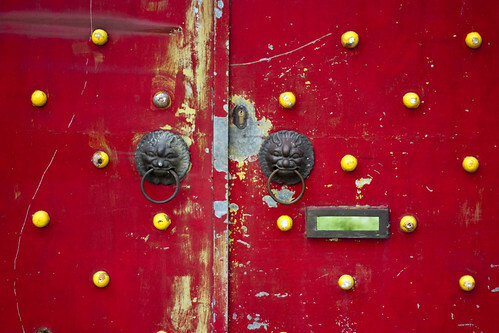 The granite stones used to build the foundation of the ancestral hall were taken from the rubble of demolished buildings in Central. The granite stones used to build the foundation of the ancestral hall were taken from the rubble of demolished buildings in Central — “heritage built with heritage,” jokes Cynthia. 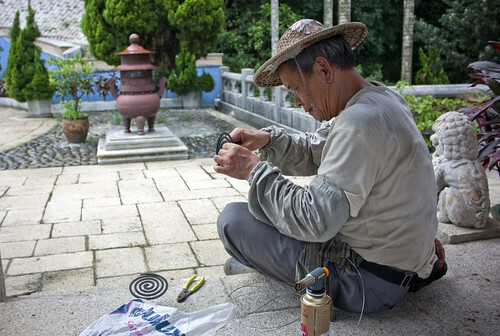 Next to a stone dedicated to Lee — which was removed when the family wanted to sell the garden and only recently re-installed — gardener Lau Suk assembles mosquito-repellent coils in preparation for some guests who will visit later that day. A retired factory worker, he is one of four people who have been maintaining the garden since it was rescued from redevelopment. “The garden is fun to work on — it’s like a work of art,” he says. This was Lee’s favourite spot. 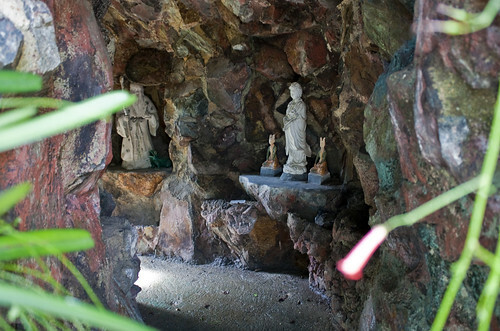 It sits next to a babbling creek and a chunk of stone from the Great Wall of China. 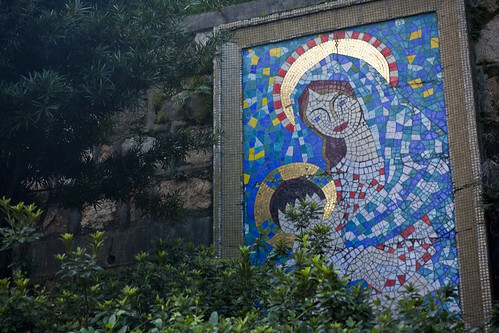 Nearby is a mosaic featuring the Virgin Mary. It takes many visitors by surprise. “The kids gave grandfather a Christmas card and he liked it, so he asked them to make a mural of it,” says Cynthia. 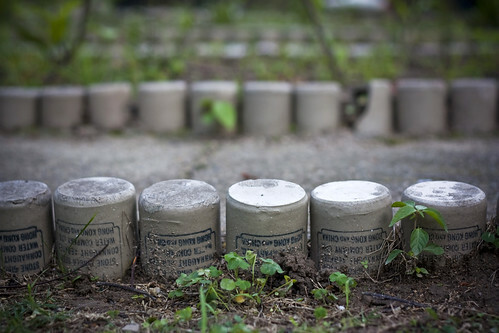 In one part of the garden, Lee used old ginger beer bottles to make curbs for pathways. 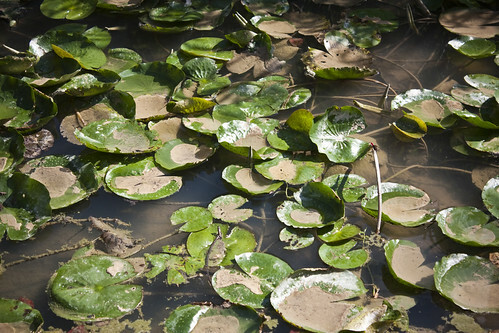 Once isolated in the countryside, Dragon Garden is now surrounded by recent residential development. 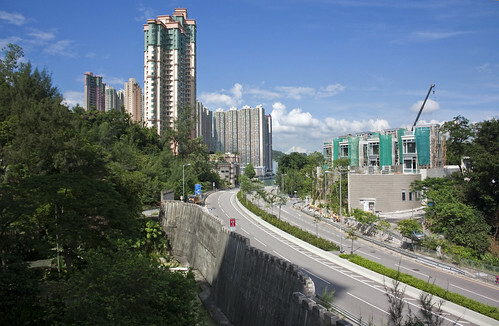 In 1998, Castle Peak Road was widened, and the government lopped off the fish pond at the foot of the garden, building a huge concrete wall to separate it from the road. It spoils the garden’s feng shui and, perhaps more importantly, blocks the sea view from its lower half. 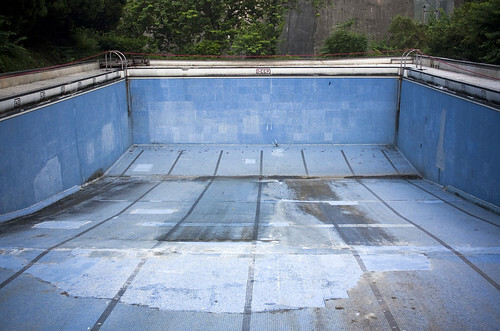 Dragon Garden’s swimming pool was often open to the public, predating the first government-run public pool, in Victoria Park, by a few years. 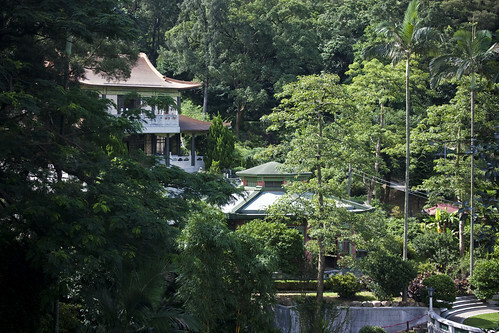 It was also a popular spot for parties and attracted a who’s who of postwar Hong Kong, including several British governors. It featured prominently in the 1974 James Bond movie The Man With the Golden Gun, where the garden stands in for the estate of a corrupt Thai-Chinese businessman. In one scene, Bond, played by Roger Moore, sneaks into the garden and encounters — naturally enough — a naked and very pretty young woman swimming in the pool. 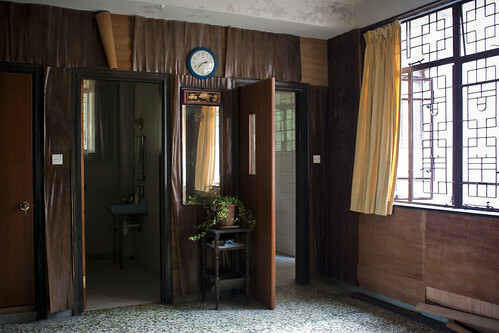 Dragon Garden’s house is derelict but still intact, a window into another era. 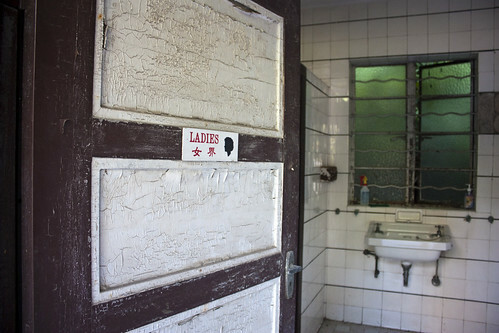 This entry was written by Christopher DeWolf , posted on Tuesday July 16 2013at 02:07 am , filed under Art and Design, Asia Pacific, Environment, Heritage and Preservation, History, Interior Space, Public Space, Society and Culture and tagged Development, Exploring the City, Hong Kong, New Territories, Preservation, Private Garden . Bookmark the permalink . Post a comment below or leave a trackback: Trackback URL. 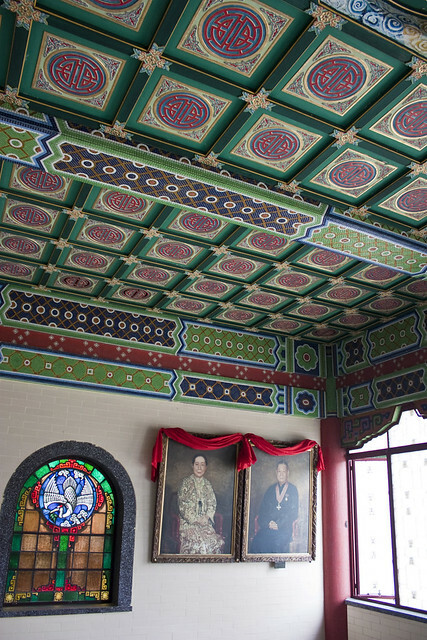 It is like King Ye Lei Mansion, such wonders should be open for HK lovers like me..